People often write me with two very mistaken misconceptions about how I work and who I work with. They often list their age and then ask “Is it too late for me?” Others will ask, “I’m not a competitor, can you still Coach me?” To the latter, LISTEN: I haven’t focused on just “competitors” in more than 15 years. As to the former, as you see in the above photos, it’s never too late! Alba is 54 years old, and her husband Scott is 58 yrs old. How is that for proof that its never too late? They are a busy couple with two boys, ages 22 and 19. Scott is a senior software engineer and Alba is a part-time admin assistant. Alba first came to my attention by taking my Empowered Woman Course last year, where she was an active and interested participant in it. My mantra for the course, that “You don’t have a food issue, eating issue, or weight issue: You have a thinking and feeling issue about food, eating, and weight” really caught her attention. Like so many out there, Alba was a lifetime chronic dieter with the North American Diet Mentality Madness. But things started to change for her as she took the Empowered Woman Course, because it challenged her thinking on a deeper level, and she took it and ran with it. After the course she became a Coaching client to further pursue her developing interest in self-improvement and personal growth. Eleven weeks ago I began a Coaching journey. I did not know what to expect, I just knew something had to change because what I was doing wasn’t working. In reality, it never worked. I signed up with Coach Scott Abel. He asked for pictures front, back, and side. The picture on the right was sent to him along with the other two pictures that were requested. I did not want to take those pictures, I did not want to look at myself. I avoided mirrors and looked the other way if I caught a glimpse of my own reflection. It was painful, and what would come to mind was: How could I have done this to myself? But I knew the answer. I kept eating, trying to be careful and eat the “right” foods, but the yearning for sweets was too great and I gave in to the yearnings time after time. Eating was also my way of dealing with stressful situations. Rather than facing the situations and dealing with them, it was easier to eat and ignore them; which solved nothing and actually created more stress. 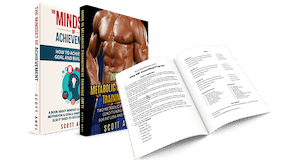 Coach Scott was right, I didn’t have a weight issue or a food issue – I had a thinking and feeling issue about food and weight. Here’s a little background on me I’m sure many female readers can relate to. Since I was 14 I have been on diets; A total of 13 diets to be exact. It wasn’t until I was 18 that I stuck to a diet and finally lost 37 lbs. and got to a goal for the first time. During this time, I have come to the conclusion that diets don’t work and are not the answer to life’s problems (as I had believed). Why do women always seem to retreat into some strange notion that following a diet solves life issues and will make us feel better about ourselves? I lost weight with many diets, that was not the problem. The issue was keeping the weight off, hence my searching for the next new diet to try – not to mention all the mental and emotional pressure that comes with trying to lose weight and keep it off as a way of feeling better about myself – what a crazy stream of logic that was: So, of course along the way I developed food issues, eating issues and body image issues. I have not been on a scale now in almost 3 years. I don’t know how much weight I had gained nor how much I have lost. That really doesn’t matter. What matters is that I can look in the mirror and not cringe and that feels really good. What also matters is facing life, the good and the not so good, instead of trying to ignore what I didn’t like (which doesn’t work anyway). Since Alba wrote me this letter back in July 2015, she’s continued to improve and get better. 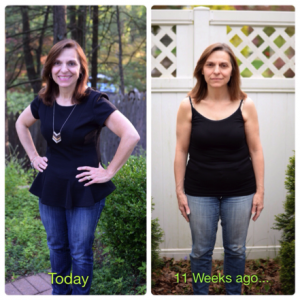 But her improvement went beyond just following a diet-strategy. It was an overall improved perception and perspective about treating herself better. And when you do that it reaches out and affects all other areas of your life. Alba’s husband Scott couldn’t help but notice this positive change in his wife, and that’s when he decided to get on board with Coaching as well. Scott’s needs were different of course. His were more typical. He’s a busy career man who needs a solid training program and a do-able diet to fit into his day, and not to try to make his day fit around these things. Scott took to the programming immediately. I wasn’t hearing him from him as consistently as I am used to with new clients. This is often a bad sign because it means they are avoiding me. But not with Scott. He was just taking the ball and running with itl so to speak. He didn’t question a hundred different things, and as a busy professional he simply doesn’t have time to. He just adapted the age old truism that “the plan works, if you work the plan.” So there you have a husband and wife team who both have different needs, but with good Coaching they amalgamate a fitness plan into a lifestyle. Remember, Scott is 58 years young and Alba is 54 years young. So, is it ever too late? Look at their before and after pictures. This is one of those times where I love my job. It should teach you all the value of Coaching as well. Imagine the personal power you feel in getting back to the body shape and size you were 25 years ago! Myself, as her Coach I can’t believe how much younger Alba looks now from her before pictures. It’s yet another illustration that if you change the mind first, then behavior follows. It’s not the other way around, as the North American Diet Mentality and Fitness Industry try to tell you. Alba didn’t “battle” her eating, food and weight issues. She learned to “let them go” and treat herself better because of it. 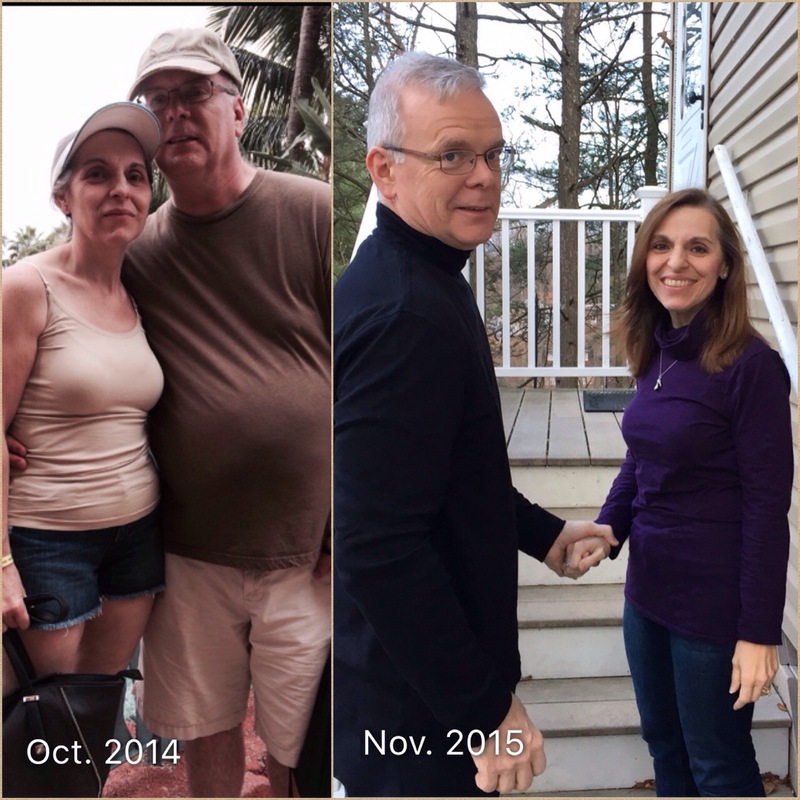 Her results were so noticeable and obvious that her husband Scott got on board as well for Coaching. It’s never too late! So, in regards to changing your mindset so that only then you can change your body – and in regards to the value of Coaching as well: Some of you will get it; some of you will not. But what an inspiration these two are! Congrats to Scott and Alba. this is what real coaching is about! Outstading work! I prefer the “after” so much better than the “before.” But nothing is wasted because there is a lesson to learn in all of life’s situations, if we look for it. Don’t give up! Congratulations to both you and your husband , Alba. Your story can be a huge source of inspiration for many.